Answering questions from the media at the launch of the TRK 502 and the TRK 502X, Vikas Jhabakh, Managing Director of Benelli India confirmed that the company would launch as many as five products (new bikes and variants) in the country by the end of 2019. The company plans to expand its reach in the Indian market by and targets to introduce up to 45 dealerships by the end of the year. Which models can you expect to see in India in 2019? The next launch from Benelli India would be the Leoncino 500 and the Leoncino 500 Trail. While the launch date is yet unknown, company officials have confirmed that the motorcycles would arrive "very soon". During a one-on-one interaction with IAB, Jhabakh confirmed that the next Benelli motorcycles to reach the Indian market would be the 500cc Leoncinos. Globally, the Leoncino is available in three variants – Leoncino 500, Leoncino 500 Trail and Leoncino 500 Sport. 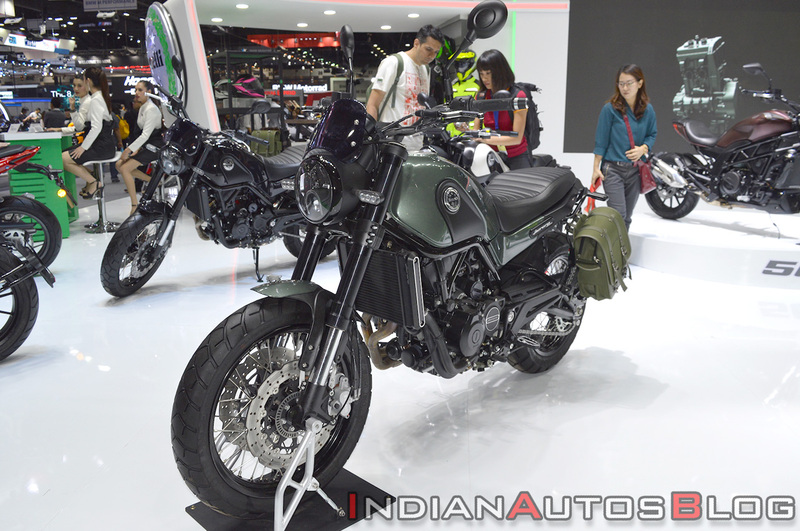 The Indian market would get the road-focused Leoncino 500 and the off-road ready Leoncino 500 Trail. While Benelli officials remained tight-lipped about the launch dates, they confirmed that the motorcycles would be arriving very soon. Mechanical specifications on the Leoncino range would include a 499.6 cc parallel twin-cylinder, liquid-cooled motor that transfers power via a 6-speed gearbox. The engine delivers 46 bhp of power at 8,500 rpm and 45 Nm of peak torque at 5,000 rpm. The motor, similar to the TRK 502 duo, would be BS-IV compliant. The road biased Leoncino 500 comes equipped with 17-inch alloy wheels on both ends while the off-road-focused Trail version gets wire-spoke wheels. A 19-inch front wheel is aimed to enhance the Leoncino 500 Trail’s off-road prowess. Feature list includes 50 mm upside-down front forks, LED headlight and the wide handlebar. The TRK 502 range was launched in India at an ex-showroom price tag of INR 5 lakh. The prices are introductory and valid only for buyers who book their motorcycles online. Benelli would extend the TRK range with a more accessible model, the TRK 251, that would retail at a much affordable price tag. Dante Bustos, Chief Marketing Officer, Benelli Global said that the company also plans to introduce the quarter-litre variant of the TRK range, the TRK 251 in the Indian market. Jhabakh, on the other hand, confirmed that the quarter-litre tourer would arrive in India towards the end of 2019. The TRK 251 showcased at the motoring events in the past was equipped with a single-cylinder, 249cc Euro-IV (BS-IV) engine that it shares with the TNT 25. The model, as confirmed by Jhabakh, would arrive in the Indian market with a BS-VI compliant engine. Bringing a neo-retro variety to the company’s portfolio in the Indian market would be the Imperiale 400. The bike would lock horns against Royal Enfield’s 350 cc range. The Benelli Imperiale 400 uses a 373.5 cc, SOHC, air-cooled, single-cylinder, fuel-injected engine that is Euro-4 compliant. However, as the Imperiale 400 is expected to arrive by the end of 2019, the motorcycle would most definitely come with a BS-VI ready motor. The current engine delivers max power of 19.7 PS at 5,500 rpm and peak torque of 28 Nm at 3,500 rpm. Feature list includes wide handlebar, twin-pod semi-digital instrument cluster, retro-style round headlight, long chrome fenders and split seat. The retro look is enhanced by chrome detailing on engine, wheels and the mirrors. The Benelli 502C cruiser would also join the company’s India portfolio and would be based on the Leoncino 500 platform. 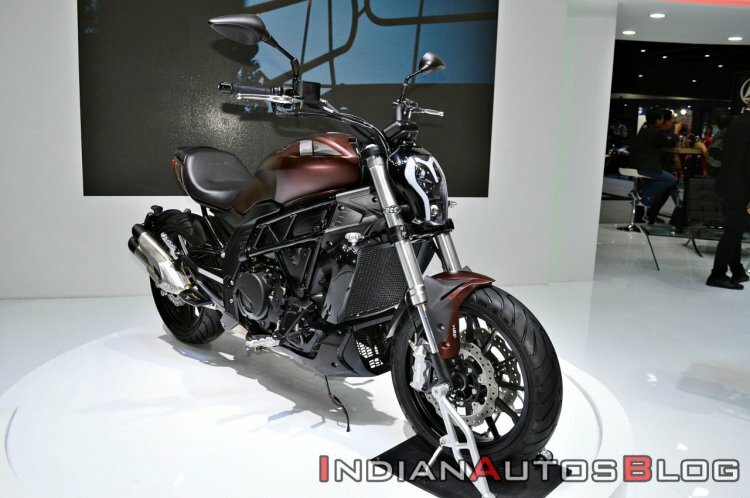 The urban cruiser has an uncanny resemblance to the Ducati Diavel although it comes with a much smaller engine. The 502C draws power from a 499.5cc twin-cylinder motor that makes 46 bhp and 45 Nm of peak torque. It is paired with a six-speed transmission. The feature list on the Benelli 502C includes upside-down telescopic front forks, LED headlight, a long and muscular fuel tank, split-LED taillights and rear tyre hugger mounted turn indicators and the number plate holder. The company would also introduce the 500cc 502C urban cruiser motorcycle in the Indian market. Apart from the new launches, Benelli India is working towards localisation of components. All models would come to the country via the CKD route and assemble at the company's factory near Hyderabad. However, the company is working on localising parts to bring down the costs and make prices more competitive. The localisation of components would be a long process and may take a while before the joint venture gets there. The company has an exclusive vendor development team that is working towards localisation. As told by Jhabakh, the entire process of localising spares could take up to 12 months to complete.